When it comes to male hair on the head, for 80% of people in the UK it is one of the most sensitive subjects as age sets in. Hair thinning and loss can be one of the major reasons for low mood and depression and dealing with such event is hard to overcome. Especially in the presence of friends and family or even work colleagues. Not only can loss of hair result in low self esteem but men can often dislike the way they begin to look in the mirror as balding gets worse. Men over the years have tried all kinds of methods from creams to hippo fat to solutions made of urine from animals. However, the reality is that nothing will work or come close to a surgical procedure. One of the solutions that men in the UK are being made aware of to combat their unavoidable bald head is hair transplant. What’s more is that it is more common than you think. When a man is told about hair transplants, particularly those who are younger, they are often very nervous about the thought of it because of the taboo around the subject and potential scars on the head from surgery. However, compared to strip procedures, FUE (follicular unit extraction) avoids a scar as the harvested grafts are done so one at a time with a small process that heals unnoticeable. With the advances in science and technology, gone are the days where a transplant of your hair is easily identifiable. Men who have had transplants now look more natural than ever before, compared with years ago when methods were still being experimented with. Louis Walsh, an Irish entertainment manager and reality show star put things in to perspective, and is one of the most notable high profile men to have undergone hair transplant surgery. 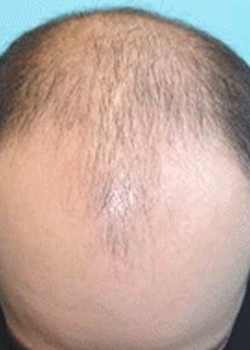 It has been described as the ‘norm’ in 2014 and just part of a males maintenance regime to look and feel better. The fact is, hair transplants to combat thinning and male pattern baldness in 2015 is just like having laser eye surgery to maintain vision without glasses, or getting work done on teeth to improve appearance. Hair transplants in 2015 are estimated to be one of the most popular cosmetic procedures in men compared with other treatments due to the accessibility of clinics in the UK offering transplants, or grafts. Options include micro graft method, where only one or two hairs are used per graft, slit grafts which contain around five to ten hairs and punch grafts which use up to 15 years per graft. 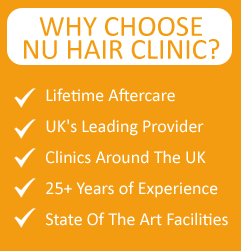 For anyone interested in transplanting of their hairs, professionals at our clinics are readily available for free advice and discussion on a method that will suit you and make you feel comfortable. Men are now choose us for these procedures to regain confidence and boost morale with a healthier and more natural image. With each session, up to 50 hairs on average are transplanted and the ‘donor’ areas are closed with small stitches and covered by nearby hairs. This entry was posted on Friday, January 2nd, 2015 at 1:05 PM	and is filed under Follicular Unit Extraction, Hair Loss Treatment, Hair Transplant. You can follow any responses to this entry through the RSS 2.0 feed. Responses are currently closed, but you can trackback from your own site.